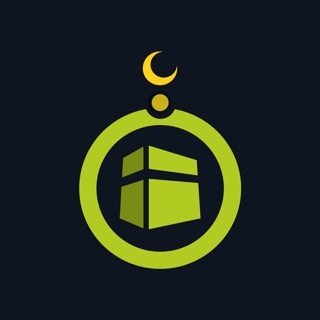 alQibla provides you with an easy tool to precisely determine the direction of qibla from any location around the world and calculate the prayer times for your city. 1. 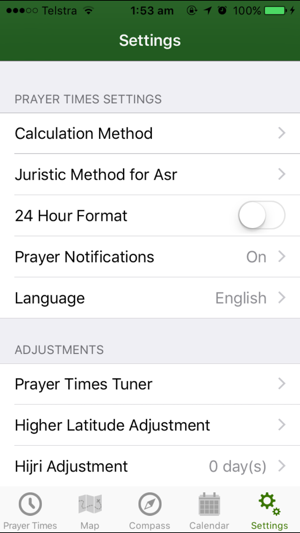 Prayer Times based on your calculation method & location (detects automatically and allows searching and saving locations too). 2. Prayer Times Notifications based for all prayers including one for before Fajr. 3. Notifications can have different Adhan for each prayer. 4. It uses iPhone's/iPod's built in location services to determine your location and gives you the direction to Qibla on a Map. 5. 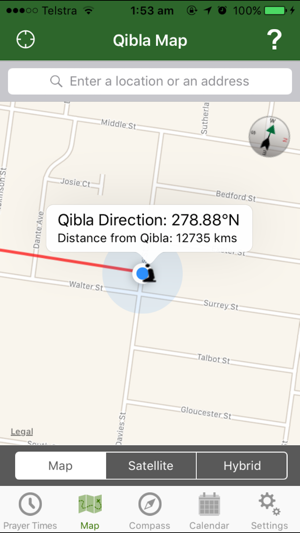 Find the Qibla direction from any address using the search feature. 7. 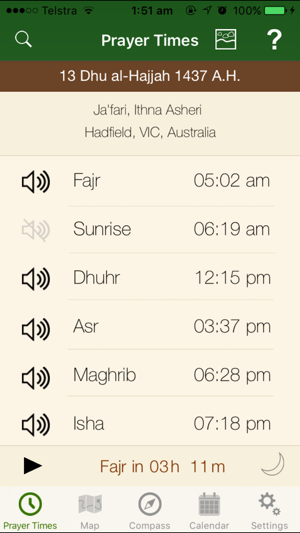 Prayer times tuner to make adjustments and share monthly or yearly prayer timetable with your friends/family/relatives. 8. 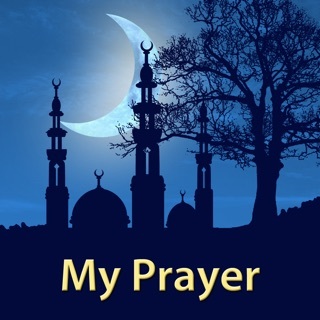 View Prayer Times in Arabic, French, Turkish and English. 9. 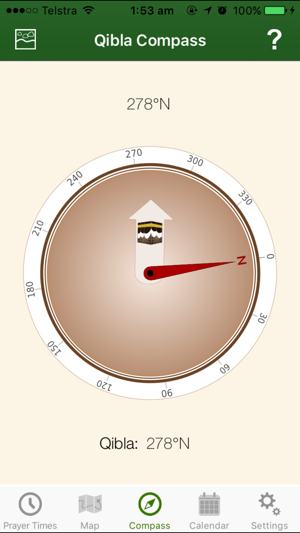 Includes a graphical compass for iPhone 3Gs + devices with the compass hardware. 11. Hijri Calendar with important events and the ability to add reminders for those events. 12. Listen to Adhan using the Adhan play button on Modern theme screen. 1. iOS 7.1+ installed with Location Services (Settings > General > Location Services) turned ON. 2. Also requires either a WiFi or a 3G network to load the map tiles. 3. For prayer time adhan notifications iOS7.1+ is required. Please write reviews for the app as it would help us improve and add more features. As an app developer myself I find this is an excellent app. I have been using this for a very long time and have recommended to family and friends. 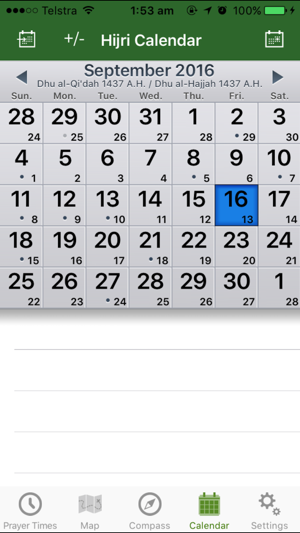 I love the calendar feature that shows all the important dates and the widget works like a charm. Keep up the great work. I love this app. It finds the qibla accurately every time and has accurate prayer times which you can adjust based on different calculations and settings e.g. Hanafi Asr time or Muslim World League for sun setting/rising times. 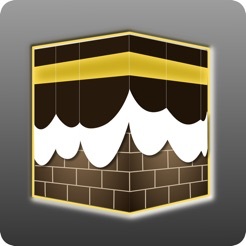 May Allah reward the developers and supporters of this app. Ameen.